Next week is Valentine’s Day, and this makes it a perfect time to introduce you to Erica Archer and her business, Wine Wise. I met Erica when working on a food event in Portland to raise money to eradicate Maine child hunger. At that time, Erica was working at Idexx laboratories in Portland. Idexx specializes in veterinary medicine development where Erica worked in marketing. It was over the course of 13 years while working at Idexx that Erica kept alive the dream of owning her own business. and perhaps, a locally made beverage from the cooler. I had selected a locally made yogurt. Even though there is palatable ease about Erica, as we progressed into the interview, there was no doubt this is a woman of conviction, and devotion not only to her personal dream but to her customers as well. 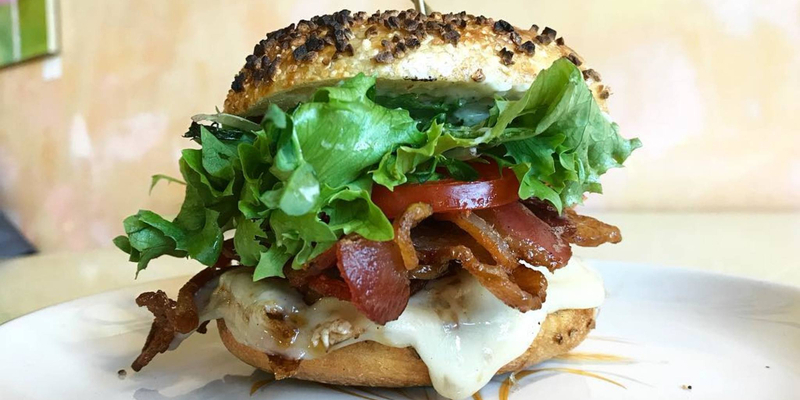 Erica’s vision of owning her own business began while a grad student at University of New Hampshire’s Whittemore School. Following the completion of her MBA, she wanted to do something that was unexpected and fun. At this point, Erica interjects that women need to pursue their dreams and keep balance in life. Life is too short for all work and no play. We should be sure to include in this balance things that challenge us and are unexpected. One thing that rang true about Erica through the interview was that when she sets her mind to something, she goes for it and makes it happen. Erica chose a vacation in the Napa Valley for her “something unexpected” where she would take a series of wine classes at the Culinary Institute of America. At the Culinary Institute, Erica’s natural affinity for wine tasting attracted the attention of her instructors. She was invited out to lunch to discuss the possibilities and encourage her to pursue owning a wine-focused business. It took convincing, but the seed was planted, and Erica elected to pursue more instruction, which after hard work and dedication, led her to become a Sommelier in the American Court of Master’s Sommeliers. In 2010 she was awarded a level 3 advanced certification in wines and spirits. Erica is a wine expert, but she sees herself as an educator. 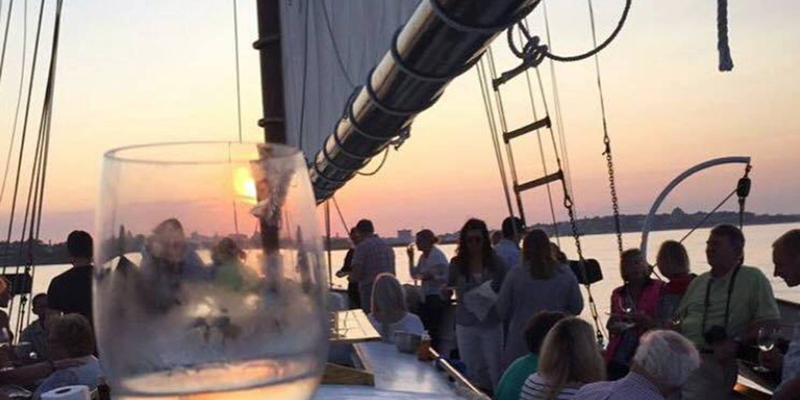 She hosts weekly “wine walks”, private events, and sunset sails from Portland Harbor. When booking a private event, she will guide you through the entire process of planning and make you feel as warm and comfortable at a private event, as she does at her public events. Erica endeavors to realize the dreams of her customers to have a wine learning experience, as well as a fun social occasion where memories are made. It’s not unusual for the chef to come out to the guests and explain in detail the food pairing. Regularly scheduled wine walks occur all year in Portland and seasonally in the Kennebunks and Ogunquit. Sunset cruises run mid-July through October. Erica explains that she’s always looking for “what’s next” and currently hosts trips to Sonoma, Napa, and Italy. Her latest achievement is organizing a March wine event to New York City.For more information see www.winewiseevents.com. I offer today this simple sauce to add a bit of “specialness” to your Valentine’s Day. Add wine, port and vanilla (or scraped seeds from vanilla bean and pod), shallot, thyme, rosemary to small saucepan. Boil over moderate heat until sugar dissolves. Using a moistened pastry brush, wash down any crystals on side of pan. Cook over moderate heat, without stirring, until syrupy and reduced to one cup (about 30 mins.) Strain. Discard solids. Stir in butter. Let cool. Make up to 3 days ahead. Spoon room temperature sauce over feta-topped crustini. Adorn with a sprig of thyme.